The Mystic Ring was founded in Luton in 1955 by five local magicians. 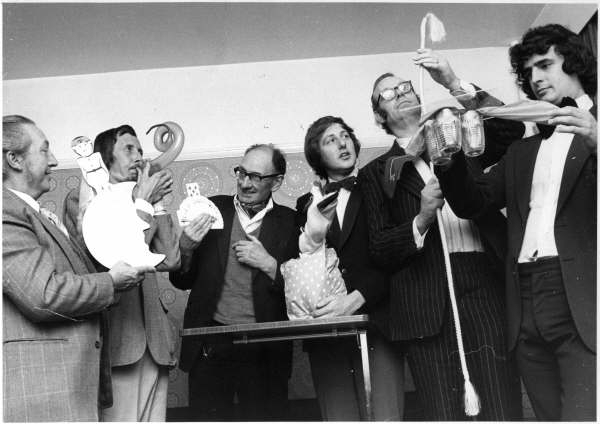 They were: Russell Butler, who sometimes performed as "Raffles"; Phil Conner, who styled himself "The Raving Madgician"; Clifford Groom was mainly a sleight of hand performer; Dennis Groom, Cliff's elder brother; and Percy Hoile, who did a Dove Act with his wife Rosina. 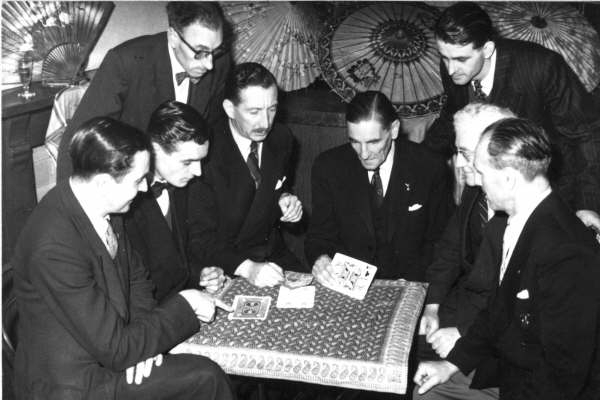 A picture of the founding members of The Mystic Ring performing magic in 1956. Our first President was Robert Harbin, best known as the inventor of the famous Zigzag Lady Illusion. Then came Geoffrey Robinson, who hosted the Children's TV programme Whirligig in the early Nineteen-fifties. Geoff was succeeded by Bobby Voltaire, who did a great Electric Act. As he lived in Clophill at the time, Bobby became our first hands-on President. 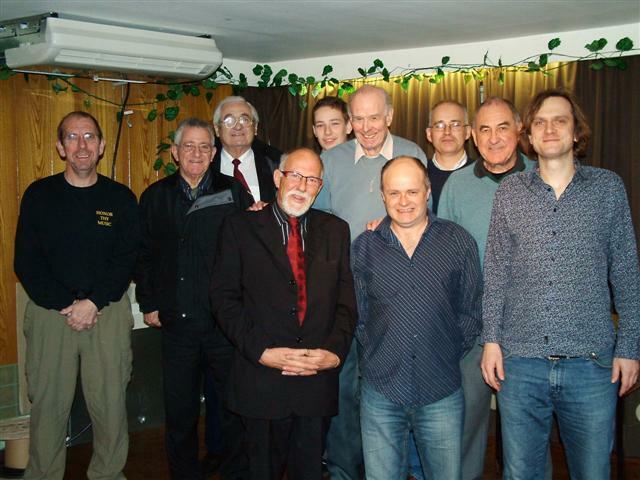 He in turn was succeeded by long serving member Rex Cooper, three time winner of the Magic Circles annual close-up magic competition. After celebrating 25 years as our President, Rex was succeeded by The Great Kovari. Kovari has performed magic all over the world as well as on television (amongst his many television credits are The Paul Daniels Magic Show, Dennis Potter's Pennies From Heaven, and An Audience with Freddy Star). Kovari is also well known as a dealer and inventor of magic effects. The most recent club photo is still old - circa 2000!